January’s photo of the month winner is Deon Sinclair with his injection setup at the local RSL. Deon was called to a job at the local RSL and was confronted with a wet wall. 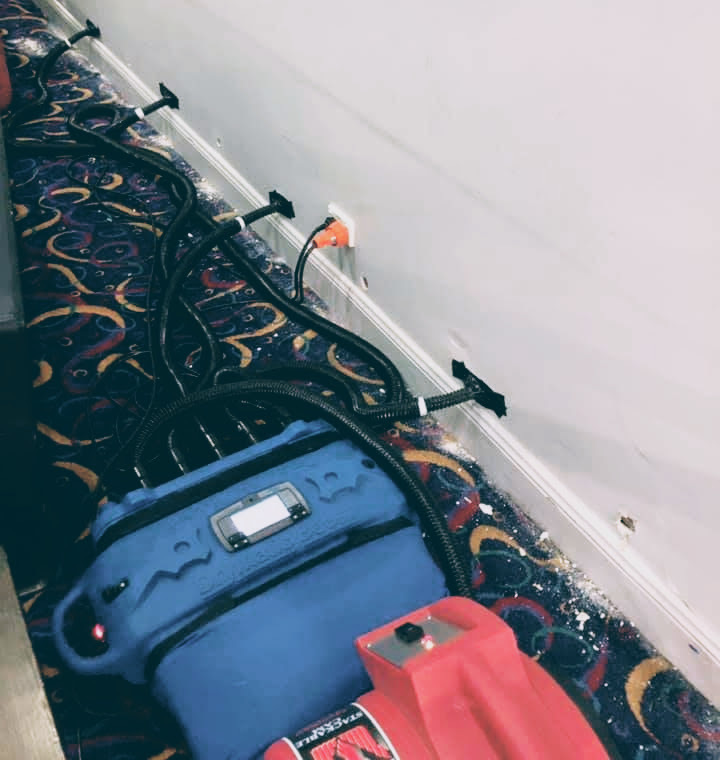 With the client wanting the area returned to use as quickly as possible Deon opted for the ever reliable air mover connected to a Drymatic boost bar and 12 port injection adaptor and kitchen kit to push warm air into a number of holes in the wall. You can always find another use for the Drymatic boost bar and injection kit, great work Deon and thanks for sharing the photo.